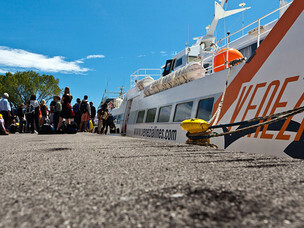 Regular High-speed services connect Venice to the Slovene and Croatian coasts from April to October. The San Basilio terminal is dedicated to this service. Venice is the ideal port to set sail to the Slovene and Croatian coasts of Istria and the Kvarner Gulf. 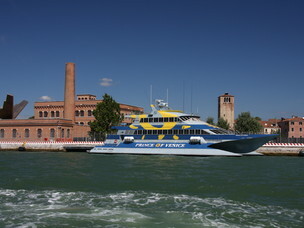 High-speed crafts and catamarans provide a regular service and the crossing lasts just over two hours. In 2009, 109,127 passengers used this service. The ports of arrival are: Labin (Albona), Lusinij (Lussino), Piran (Pirano), Pula (Pola), Portorož (Portorose), Rovinj (Rovigno), Umag (Umago).